If most dogs had their way, life would be one long visit to the dog park. Unfortunately, it doesn’t work like that. Most human dog owners have to work 8 or more hours a day, leaving your dog alone and up to his own devices. In many cases, dogs left alone get bored and that can lead to trouble. Here are 10 signs that your dog might be bored. It doesn’t matter how many toys Fido has at his disposal. A bored dog might seek out other things to satisfy his need to chew if he’s feeling bored. This can be detrimental to your shoe collections, furniture and even the walls of your home. A bored dog can try to create her own fun by engaging in digging behavior, which can be destructive to your home and lawn. Your dog is always happy to see you, but if his greeting is over the top, this could mean he’s bored at home when you’re not around. If your dog is constantly licking himself or you, you might think he’s just being clean or affectionate. But in some cases, excessive licking can indicate boredom. If your dog makes a run for it every chance he gets, chances are this means he’s bored with his surroundings. Humans might pace when their feeling fidgety and the same goes for dogs. A dog who is bored with extra energy to burn might pace the halls, fence or room. There are a number of reasons why your dog may pant. Heat, physical exertion, pain or even just breed disposition. If you’ve been able to rule these out but still find your dog panting, boredom or anxiety might be to blame. Scratching, biting or chewing can be a sign of boredom in dogs. If you find your pooch engaging in these behaviors after ruling out allergies, boredom might be the culprit. 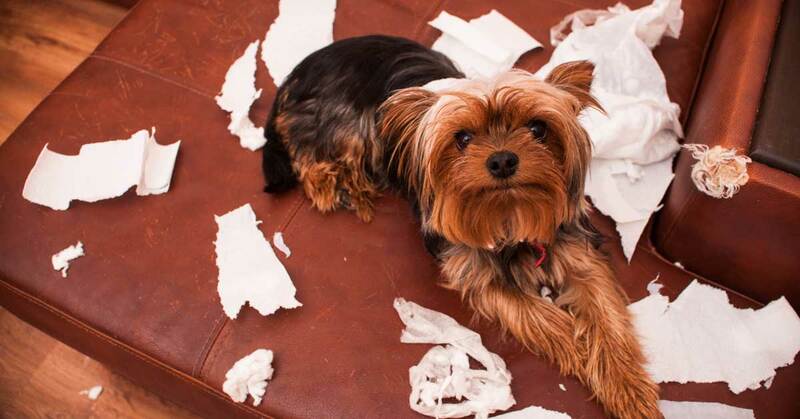 Destructive play can be fun for your dog. If you come home to find a trail of fluff leading down the hall, you might have a dog who is bored when you’re away. Many things might inspire your dog to bark. The mailman. A bird in a tree outside the window. The wind. But if your dog’s barking becomes a nuisance to you or your neighbors, chances are he is bored and looking for ways to entertain himself. Keep your dog healthy and engaged and avoid boredom-related behaviors by letting your dog channel his energy into healthier outlets. Ways to fight doggie boredom can include the following. Engaging sports such as agility, barn hunt etc. 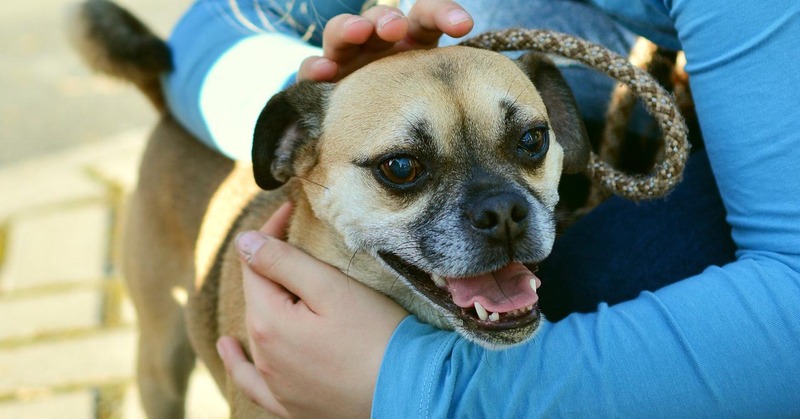 A well-trained and mentally stimulated dog is a joy to have in your home. 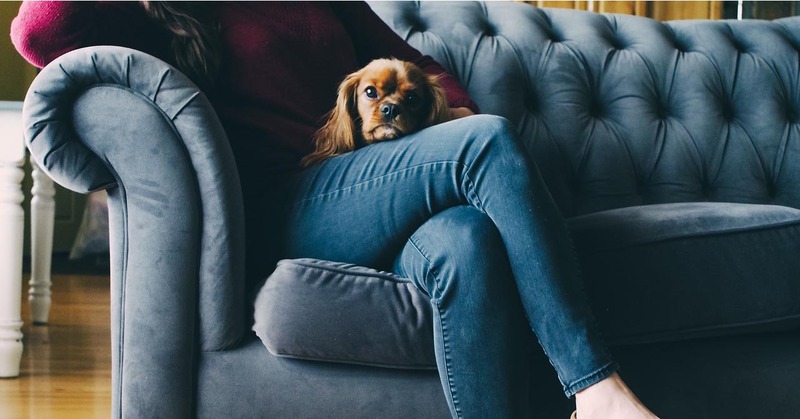 Every minute of each day can’t always be exciting for you or your dog, but making a plan to keep boredom at bay when your dog is home alone can help you have a more meaningful relationship with your dog. For more information about combating your dog’s boredom or stop destructive dog behavior, learn more about our dog training style or book an appointment today. When Can My Puppy Start Training? 5 Ways To Improve Your Communication And Get Your Dog to Listen. Is Your Dog Experiencing The Back To School Blues?